The following post from Emma Gibson, a student in our MA program, reflects on the recent meeting of the journal reading group, part of our Religion in Culture MA. So, what exactly is phenomenology? When I started my first semester in fall 2017 at the religious studies department, I got some interesting looks when I told everyone I was primarily interested in phenomenology. I learned quickly that phenomenology of religion and philosophical phenomenology are not the same thing. Perhaps this is because I spent most of my undergraduate degree as a philosophy major. For example, I was surprised to learn that most phenomenologists of religion have framed their work as a study of “religious experience” in order to either argue for an unknowable God, or to claim that these experiences are unique from other kinds of experience. Philosophical phenomenology focuses on the general experience of the subject making sense of the world, rather than separately analyzing “kinds” of experiences. I am currently developing a topic for my M.A. thesis that compares and contrasts both philosophical phenomenology and phenomenology of religion. Jonathan Tuckett’s article “Prolegomena to a Philosophical Phenomenology,” proposes one way of doing phenomenology of religion that is better aligned with philosophical phenomenological methods. So I suggested it for our journal group. Tuckett argues that phenomenology of religion should return to and follow more closely the methods developed by Edmund Husserl. More specifically, Husserl’s philosophy on intersubjectivity and ‘life-worlds’. Tuckett argues that Alfred Schutz (a follower of Husserl) influenced scholars such as James Spickard and Peter Berger who both attempted to outline a philosophical phenomenology in line with Husserl’s philosophy. According to Tuckett, they fall short because they did not consider Husserl’s later phenomenology (2). Tuckett’s final point is that a revised sociological phenomenology is best suited to achieve the goals of Spickard and Berger. It is “an enquiry into the structures of knowledge which produce reality” (6). 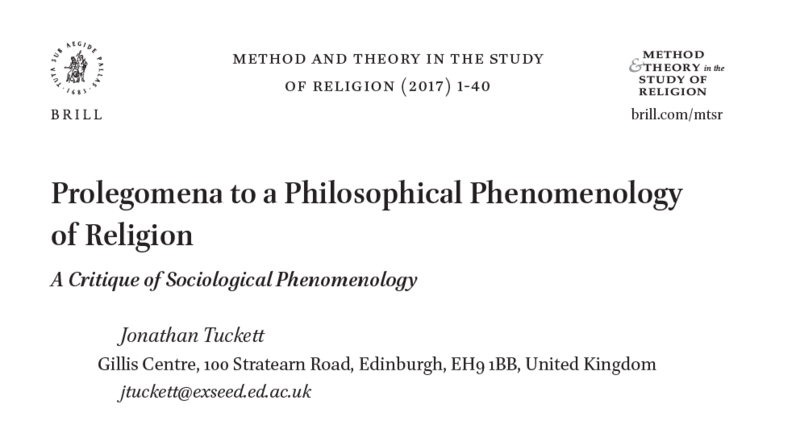 For the purposes of my MA thesis, articles like Tuckett’s will help me explain why and how the phenomenology of religion is so different from philosophical phenomenology. While I was reading the article, I was drawn to Tuckett’s proposal to conceptualize religion as “alien”. Tuckett explores how the work of Husserl deployed a distinction between the home-world and the alien-world (8). The home world is a “homogenous totality” (33) while the alien, “entails the introduction of heterogeneity by destabilising the homogeneity of the home-world” (33). The last section, “A Proper Phenomenology of Religion,” is the introduction to a more extensive project, where he proposes “secular” as an analytical umbrella that designates the set of that which is naturalized. “Religion,” then, marks what does not fit into that set. It reminded me of the work being done in my Women’s Studies feminist theory and the abject taught by Dr. Jennifer Purvis. I recently read and wrote on Judith Butler’s philosophy. Butler argues that the abject is what is cast away from society for the modern subject’s identity formation. The individual cannot make sense of who they are without defining what they are not. In Bodies That Matter, Butler says, “the subject is constituted through the force of exclusion and abjection” (xiii). The key take away from Butler’s philosophy in the context of this blog post is the relationship between the subject and the other. There is no essential subjecthood, but, rather, a subject constituted by categories, dualisms, language, and negation. While I recognize that Butler’s abject refers to that which is undesirable and Tuckett’s alien is geared more towards that which is unfamiliar, both act in a way that may help subjects critically reflect on their assumed norms and language. Also, in many ways the concept of the abject functions similarly to Tuckett’s alien. The abject disrupts our thinking but does not necessarily have to be inaccessible. To bring the two in relation to each other, Tuckett says, “The very point of this alien encounter, then, is that in presenting the person with both inaccessibility and non-belonging they are made to realise that they are not the master of themselves” (34). This quote led me to draw similarities between the abject and the alien because both highlight how subjects produce themselves in such a way as to reveal what they are not. So, a phenomenology of religion influenced by philosophical phenomenology in line with Husserl takes into account the problems of intersubjectivity. Drawing distinctions between religious experience and secular experience presupposes that these distinctions are natural, but, they are actually claims made in the home-world–claims that are taken for granted. A sociological phenomenology brings these distinctions between phenomenology of religion and philosophical phenomenology to light and could definitely be helpful in considering fundamental difference between the two methods. The following exchange between Prof. Nathan Loewen and Emma Gibson, a graduate student in our MA program, reflects on the recent meeting of REL’s monthly journal reading group, part of our Religion in Culture MA. Nathan: So, Emma, you have a background in the study of philosophy and you came to the religious studies department at UA in order to complete an MA in religious studies. Your first semester at UA has included plenty of coursework on critical theory as well as an independent study with me focused on major publications from Simone de Beauvoir, Martin Heidegger and Jacques Derrida. The faculty and graduate students in our department convened for our journal group for its third and time in order to discuss the article that you chose. What went into your decision to have us read and discuss an article from 1985? 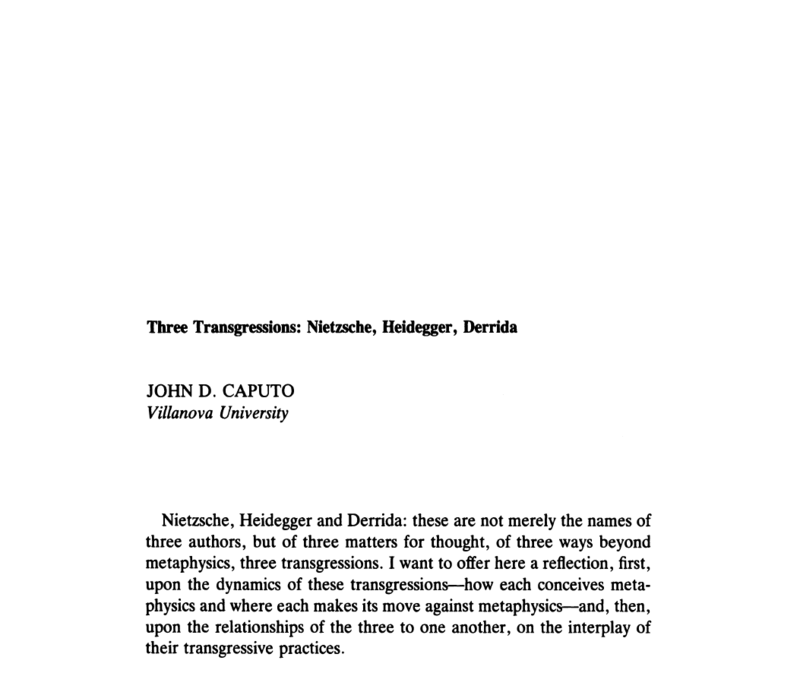 Emma: In the article, John Caputo outlines the moves Nietzsche, Heidegger, and Derrida make to transgress Western metaphysics. I chose the article in order to engage with the department about my interests in phenomenology. I first encountered phenomenology my freshman year of undergraduate studies in my 20th century philosophy course and was drawn into the way these thinkers considered the subject and experience rather than assuming logic, observations, and reason were sufficient in the quest for knowledge and truth. Edmund Husserl pioneered phenomenology when he argued that our own perceptions precede the object. Our perceptions (or, phenomenological experiences) come together to construct our “ideas” of objects and always refer back to other experiences and instances. If this is the case, then we would have to conclude that our knowledge of the world is primarily non-empirical. Approaches that emphasize an external, objective world are incapable of producing a complete and true narrative of reality. Phenomenology is a distinct field in philosophy, and its methods are applied differently in religious studies. While philosophy considers phenomenological experiences as a continual processes that call for a restructuring of the way we make sense of the world, religious studies uses phenomenology to argue that God can only be known by one who has encountered religious experience. In recent weeks I also recently read Caputo’s book, The Prayers and Tears of Jacques Derrida, so this article covered several thinkers pertinent to my research interests. NL: What does it mean to “transgress Western metaphysics”? Is that the business kind of thing that scholars of religion should be doing? EG: Western metaphysics refers to a set of philosophical arguments about the nature of reality as fixed and predictable. That view contested by a reading of Nietzsche, Heidegger and Derrida. Each argues reality is constructed from a multiplicity of phenomenological experiences, we are unable to form a linear, singular narrative about objects and ideas. We are always already becoming and this means that we should avoid imposing structures on thought that mask the unknowable and unpredictable qualities of existence. I have thought a lot about disrupting assumed structures and categories, which is exactly what “transgressing Western metaphysics” seeks to accomplish. I figured that an article about “transgressing” Western metaphysics would be relevant to my professors and cohort since they also use methods and theories that critique attempts to rigidly categorize and systematize concepts such as religion. I believe it is useful to discuss how the phenomenological approach considers the experience of the subject such undertakings. NL: The article makes an argument that Heidegger has a “creative misunderstanding” about Nietzsche. The group was surprised by this claim, and we discussed it at some length. What did you see as the issue in terms of how postmodern, critical theorists work with the texts they choose to read? EG: I enjoyed how the group debated the relationship of the philosopher to the text; Should we consider the intentions of the author or only focus on the text itself? Are we ever able to have the “correct” interpretation of an author’s work? After discussing these questions at length, I believe that Caputo’s claim that Heidegger “misread” another thinker is a rhetorical strategy to validate his argument. On the one hand, if we accept that the author is dead and there can be multiple readings of a text then we might fall into relativism. On the other, making claims that suggest one person is able to correctly interpret an author brings up questions of who has the authority to make these kinds of statements. I do not have answer to how postmodern thinkers should approach the texts they read, but I do think it would be beneficial to consider what it means to misread something. NL: Another point of vibrant discussion was a consideration of how the article used the terms “abyss” and “mystery” in order to introduce a reference to Meister Eckhart in the article’s conclusion. Would you summarize what developed in our talk as a common concern? EG: There was debate over whether Caputo was successful in his reading of Derrida’s abyss. This is a question that I am actually going to examine in my final paper for my independent study. Using terms like “mystery” and mentioning Eckhart was a red flag for some people in the room. Was this a signals of a theological interpretation of Derrida’s abyss that actually ontoglogized it? Isn’t this something Derrida actively tried to avoid? The idea of breaking-through metaphysics in order to reach the abyss suggests that there is only one move towards the unknown. I would argue that Eckhart’s breaking-through does not necessarily have to assume a theistic nature in the context of Caputo’s argument as long as the breaking through is continuous. There is no one event of transgression, but, rather a continuous process. This is something that I will keep thinking about! NL: Thanks for sharing your reflections on our journal group discussion. I think it was really useful for everyone. Where do you plan to go from here? Is this journal article going to form a part of how you complete your projects this semester? EG: I am actually going to compare Caputo’s article with the paper presented by Craig Martin at the 2017 NAASR meetings to think about interpretations of Derrida’s abyss. There was also discussion about the differences between phenomenology in the field of religion and phenomenology in the field of religious studies that I found compelling. It is a topic I am now considering for my Master’s thesis. My hope is to identify where the two fields differ in terms of interpreting concepts like “abyss” and “anxiety” and what this means for scholars in each discipline. The following exchange between Prof. Mike Altman and Sarah Griswold, a student in our MA program, reflects on the recent meeting of the journal reading group, part of our Religion in Culture MA. Mike Altman: Sarah, for our first journal reading group you chose the article “Durkheim with Data: The Databse of Religious History” from a recent issue of JAAR. 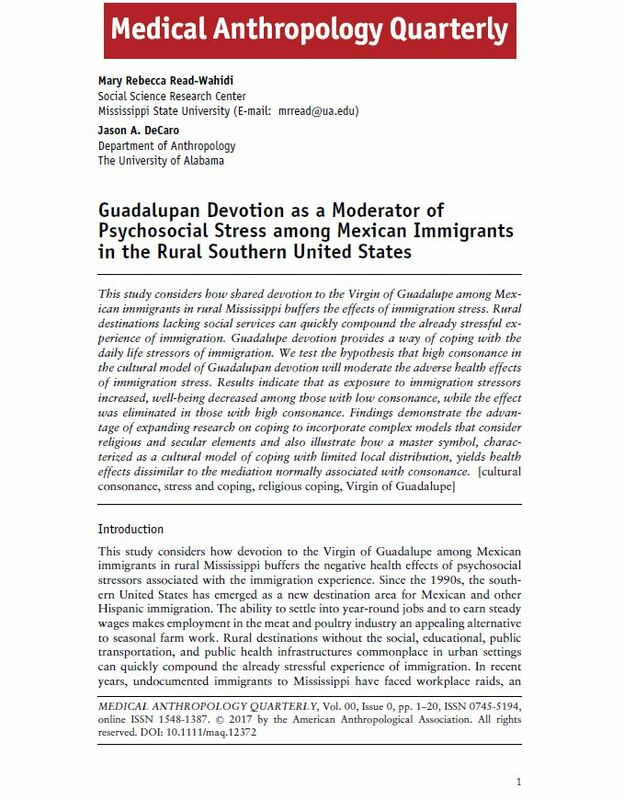 What’s the gist of the article and why did you think we should read it in our group of MA students and faculty? 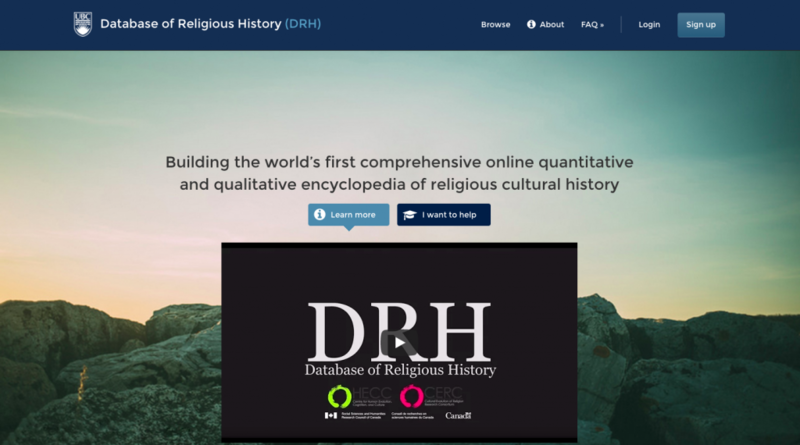 Sarah Griswold: The article is basically an introduction (and justification) for the Database of Religious History. This database is meant to serve two purposes: to be a database for “religious groups” in the premodern world and to provide evidence for a theory of religious evolution. In effect, the database tries to play both fields of holding and providing both quantitative and qualitative data. The article mostly reads as an attempt to draw more scholars in in order to add data to the database. As far as why I thought we should read it, there were a few reasons. First, as someone with a background in both the humanities and math, I think understanding how and why qualitative data is quantified is really important to understanding and critiquing the purpose and use of databases like this one. Second, as the humanities (and particularly religious studies) moves more and more towards digital projects, we need to be aware of what’s out there so we can emulate what is done well and improve on what is lacking. 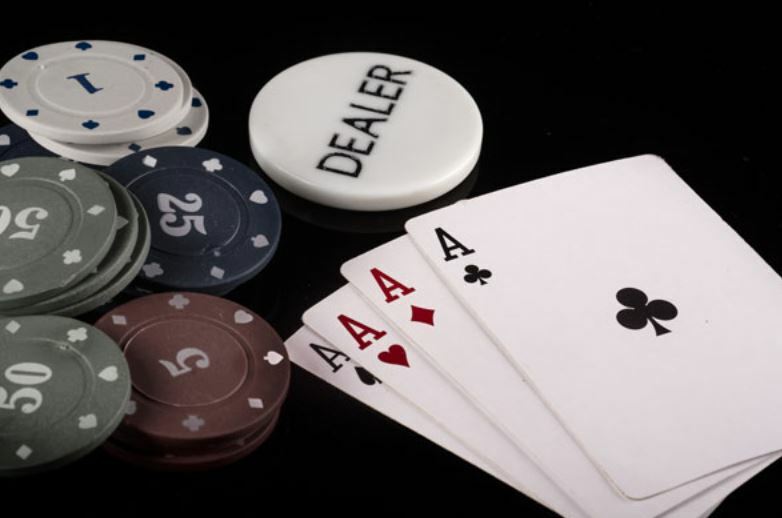 Finally, the article also offers us insight into the theoretical workings of the project itself. Although titled “Durkheim with Data,” it seemed as though the creators of this project have not critically considered or defined the very categories they have opted to work within, making the move from qualitative to quantitative data suspect. That, I think, can be quite telling of the ultimate success or failure of a project of this size. MA: As a student in this new MA program that has an emphasis on digital and public humanities what can you learn from this article and what can we as a program learn? SG: Personally, this article reinforced the importance of thinking through the categories you use when quantifying data. It can be easy to point to something you “know” is religion and label it as such without thinking about why you’ve decided on that label in the first place. It’s also interesting to think about the collaboration across disciplines that these projects require. It would be impossible for one or two scholars to gain all the skills needed to make these things even work. It turns out that group projects exist in real life too and not just in school. As a program, I think the biggest take away is to pay attention to the developments of these projects. Because the DRH has a capacity to refine their methods, I don’t think they should be entirely dismissed as uncritical. There are positive and negative take aways from critically examining any digital project. Learning more about digital projects and examining their goals and functions can and will tell us a lot about how to move forward in our own individual and collaborative projects. But if my hypothesis is correct, there can be no such thing as a non-relativistic representation of historical reality, inasmuch as every account of the past is mediated by the language-mode in which the historian casts his original description of the historical field prior to any analysis, explanation, or interpretation he may offer of it. 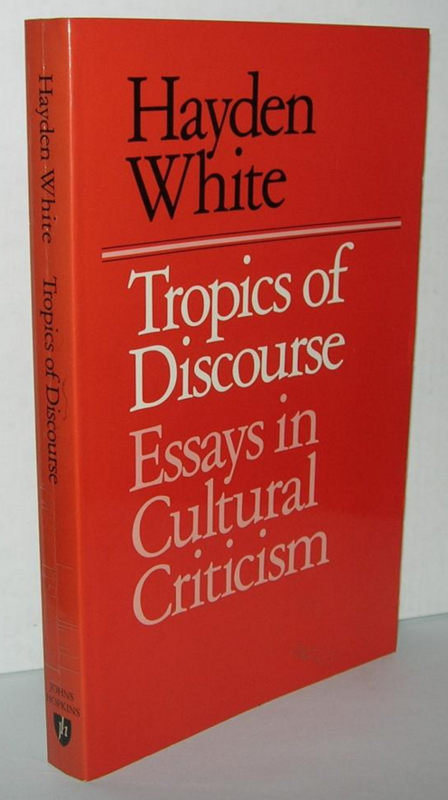 We read this classic Hayden White piece (originally published in History and Theory, Vol. 14/4 Beiheft 14: Essays on Historicism : 48-67) in a faculty reading group in our Department last Friday, that met for the first time, during lunch. I’ve not read the essay for years; yes, I first went looking for what I’d previously underlined in my copy of the book but the above sentence jumped out at me for the first time (to be honest, it was only when a colleague quoted it during our discussion, which made me flip through some pages looking for it). For, as I later elaborated, in agreement with another colleague who detected some curious ambiguity in White’s essay, this sentence nicely captures his place as a transitional figure.